Are you connected direct to the exchange, or via a RIM/CMUX/Roadside Cabinet? If you can provide some details I will see if there is anything that I can do to help you with this one. Sending you a private message with how to provide those details. I can confirm no relief is available for QALPKE1S7 at this time. We will ensure any relief that will address this congestion issue to be published on the Telstra Wholesale report named DSLAM Backhaul Relief when it’s confirmed. 70KB/s or 000000.8Mbps is well short of usable for a family. while trying to download something everyone else in the house has to wait. cant even watch a youtube video at standard definition without it pausing all the time. SOMETHING MUST be done PLEASE. Thanks for posting out a leaflet for mobile broadband... but this too suffers at peak times in my area. Upgrades are needed. Still the same crap, how about a considerable discount or do I need to change to another isp at half the cost. Paying way to much for what I get, telstra team rep please contact me! 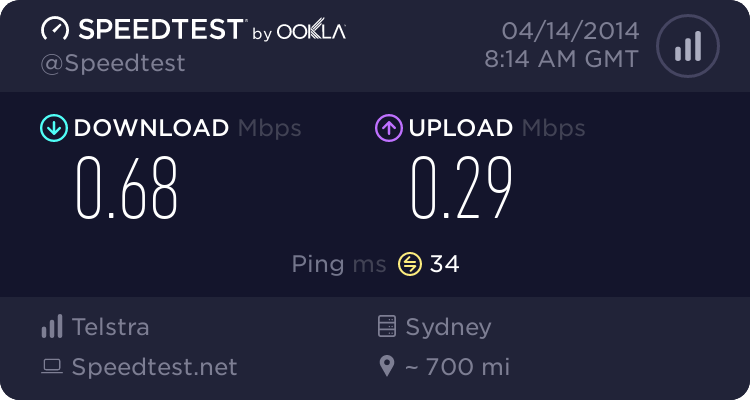 I see my dslam has had the top hat upgrade @ qalpke1s7, it's also noted in telstra wholesale xls sheet, do I get upgraded to adsl2 automatically or do I need to do something about it even though I have been complaining about super slow internet speed for so long? 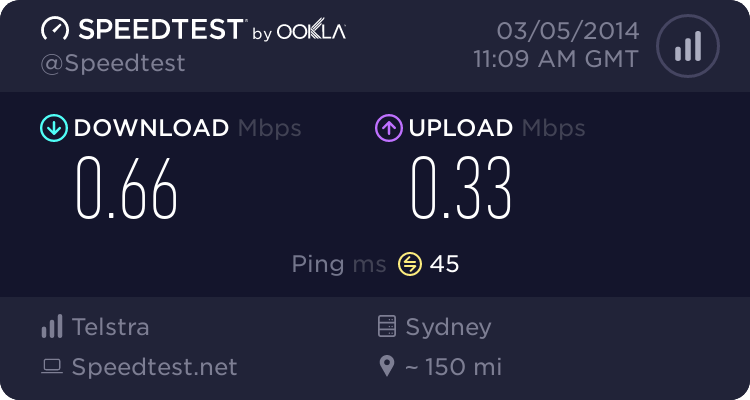 Please fix my slow internet! We will need to change you to a compatible port however if capacity has been expanded this may not be an issue. http://tel.st/49kl and they'll be more than happy to help you out with this. Thank you. From the details I can find the transfer isn't automatic, but once the backhaul upgrade work is completed you can lodge a new order for the ADSL2+ port. Ok so some work has been carried out and speed is now where it should be, 6Mb/sec, can't believe it had taken so long to fix this dslam, now to connect to adsl2+ when the switch is flipped. 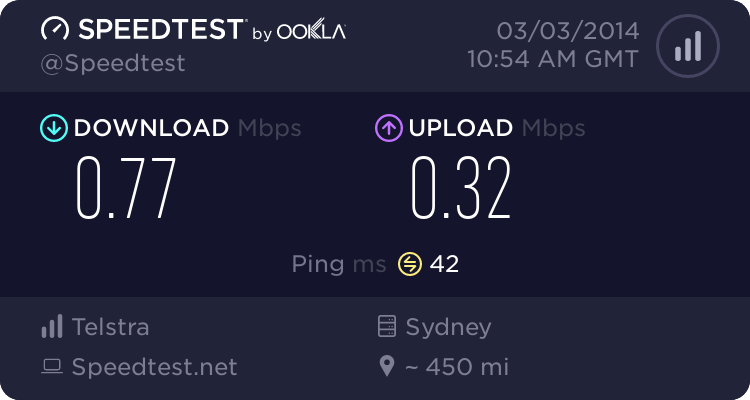 (up to 800KB/s in comparison to previous post) yay... YouTube works, downloads work, updates happen, more than 1 device in the house connected, online gaming (wait I didn't know what that was). This has me worried buellersdayoff. I have just purchased a house at Albion Park. I work from home 3 days a week so without a solid internet connection i am in trouble. Has this stabilized and what speeds are you getting now? I can see that an upgrade has been planned for Albion Park which is expected to be completed by the end of July this year. Where can i obtain this information? You should be able to find it in this spreadsheet which is updated regularly.